Sometimes you see or read somethings that makes you either smile, laugh or think. I think I experienced all of it when I came by this fantastic little note. 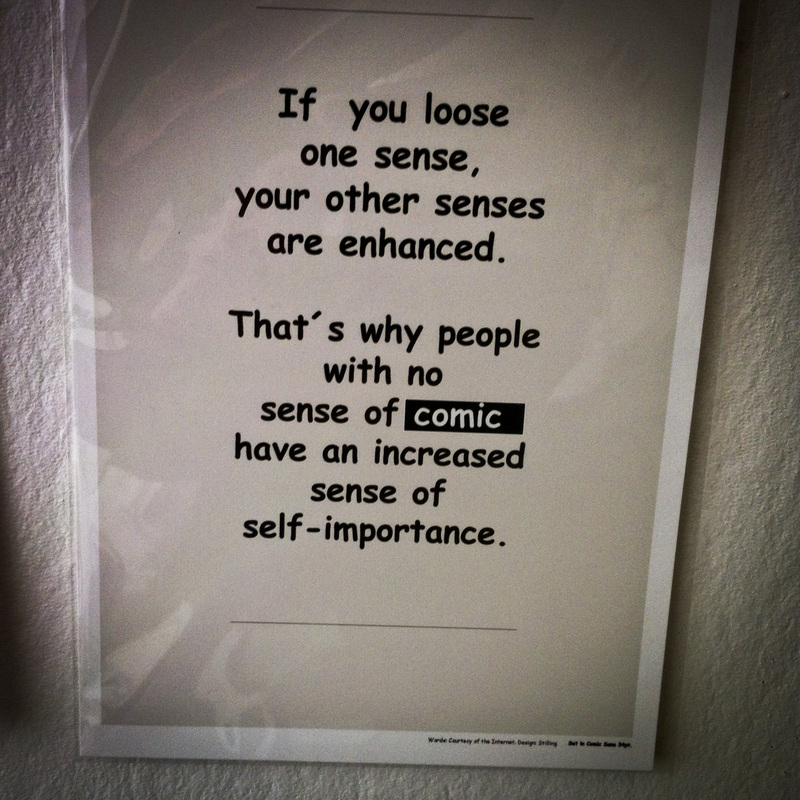 “If you loose one sense, your other senses are enhanced. I guess you can picture a person where this statement fits very well…. At least I can.